The Legacy of Old Gran Parks has a wonderfully dark, nasty feel to it. There's a claustrophobia to the setting. Cann River is a barely-there town, clinging on around a crooked crossroads. Miriam is trapped there until her car is repaired. Emily is trapped there until she scrapes together enough money for a bus out of there. Pearl's health stops her from leaving. They all seem to be running away from something too, from the fire that destroyed Miriam's home, from controlling husbands, stepfathers, parents. They've all run away as far as Cann River, and there they are stuck. And all around them are sinister men, whose very presences exude threat. However, these women are far from defenceless. The legacy of Gran Parks is a legacy of fighting back against abuse, and taking responsibility for dealing out your own style of justice. This book is chilling. The women in it don't mess about, and I was left with the distinct impression that this wasn't the first time some of them had taken the law into their own hands. There are some pretty brutal descriptions of violence too. One thing I really liked was how well the book dealt with multiple POV characters. There are four main characters, and the point-of-view rotates between all four of them. Each one has a distinctive voice which came across really strongly in the writing. It is particularly interesting to see what they think of each other, for although they are all stuck in the same situation and are generally pulling together, they don't necessarily like each other and a lot of their prejudices come out. 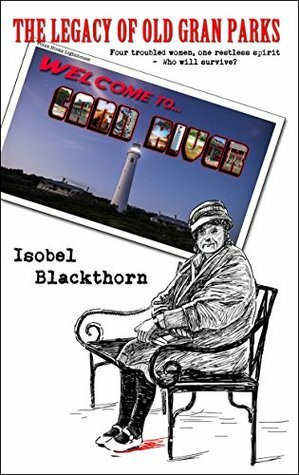 The plot rolled along quickly, building up the tension effectively as each woman felt a different menace around her, and it was all resolved effectively. I would have liked more exploration of the supernatural elements, which felt like they were lingering just out of view, but that did add to the dark tone of the story. It's described as a dark comedy, though there isn't a whole lot of comedy in it. It's possibly closer to being a noir/horror. I'm giving The Legacy of Old Gran Parks an enjoyable 3 3/4 moons. 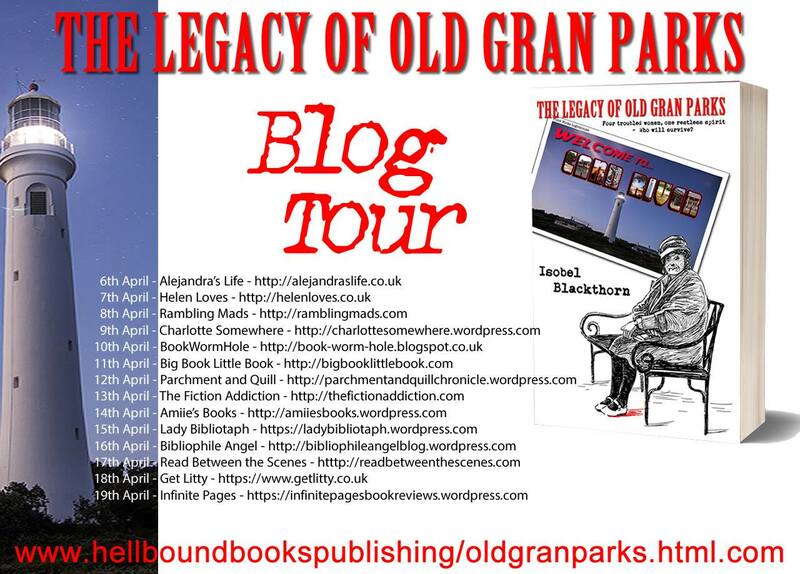 This was my stop on the The Legacy of Old Gran Parks blog tour.